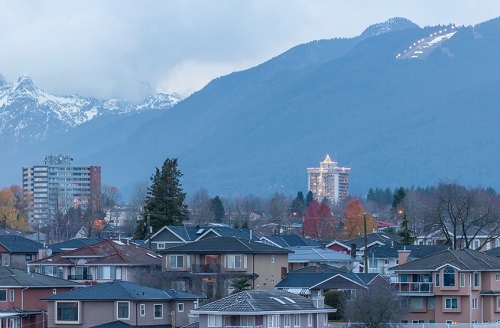 Recent events have served to emphasize the central role that the Canadian real estate sector now plays in the national economy—a set-up that might prove to be incredibly risky in the long run, according to two industry observers. Writing for Bloomberg News, markets analysts Erik Hertzberg and Theophilos Argitis argued that Statistics Canada’s latest data release (which covered February 2017 numbers) only solidified the notion that the nation’s fiscal system is already highly dependent on housing to remain afloat. The analysis also pointed at Ontario’s introduction of its foreign buyers’ tax as a step that came at exactly the right moment for the province. “[Last week], the Ontario government released a budget that projects land transfer taxes will surpass $3 billion in the current fiscal year, from $1.8 billion three years ago. For the province, it’s the difference between a balanced budget and a deficit,” Hertzberg and Argitis said. Together, these developments point to a dramatic shift from oil to real estate as a prime mover in the national economy—a conclusion supported by Mark Chandler, head of fixed-income research at RBC Capital Markets in Toronto. “You don’t need a collapse in house prices, you don’t need housing starts to be cut in half for weaker real estate sector to have a significant effect on GDP and incomes,” Chandler said recently, adding that even just a 10 per cent drop in national home prices would be enough to tear off a percentage point from growth.